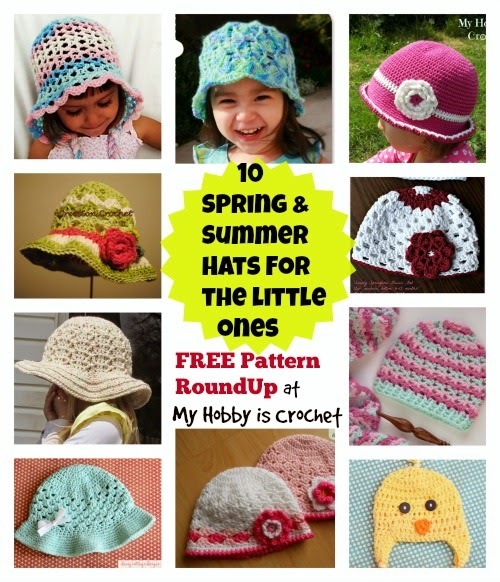 In this FREE Crochet Pattern Round Up you will find 8 beautiful hat patterns for babies and little girls by some of my favorite designer friends and 2 free patterns of my own! 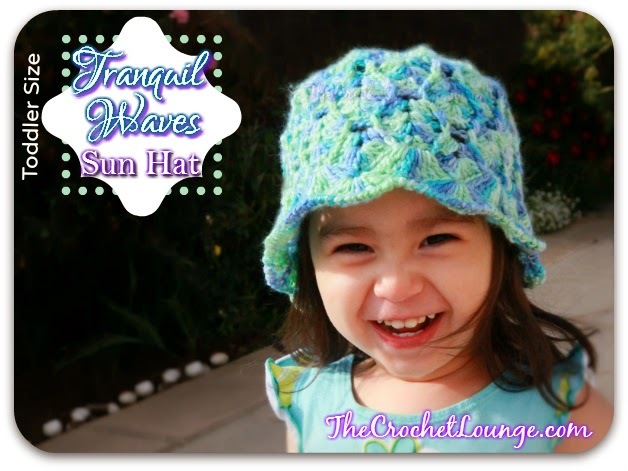 10 Free Crochet Hat Patterns for Summer, Spring and Fall! Disclaimer: All images are copyright of the individual designers below, unless otherwise specified. Each image was used with permission from its designer! Click on the title of the hat patterns to open the page with each FREE Crochet Pattern (the patterns were free at time of posting)! 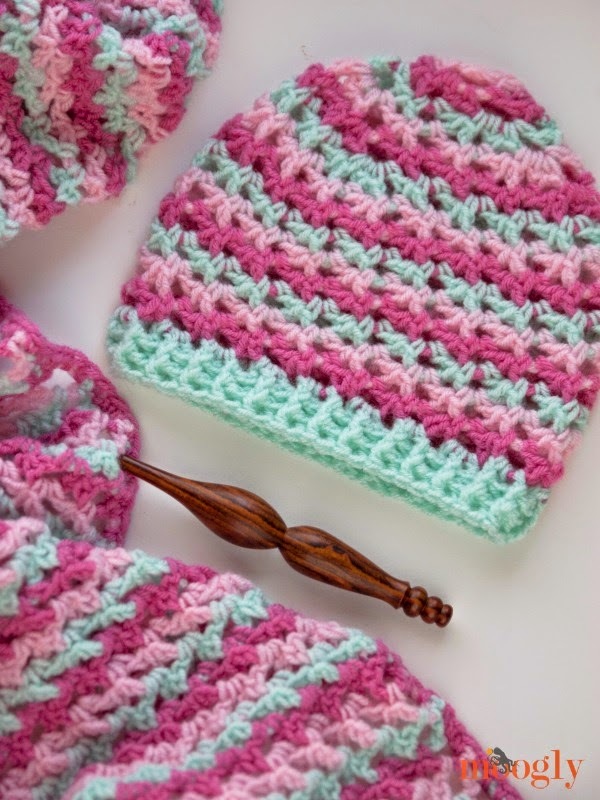 I just love the pattern stitch and the colors of the yarn she used! Beautiful! This light weight free toddler spring or Easter hat is made with 100% cotton and is a perfect choice for Spring weather. Lorene has also an adult woman size for this beautiful hat. 3) Loopy Love Hat by Moogly. The title of this cute hat says everything! 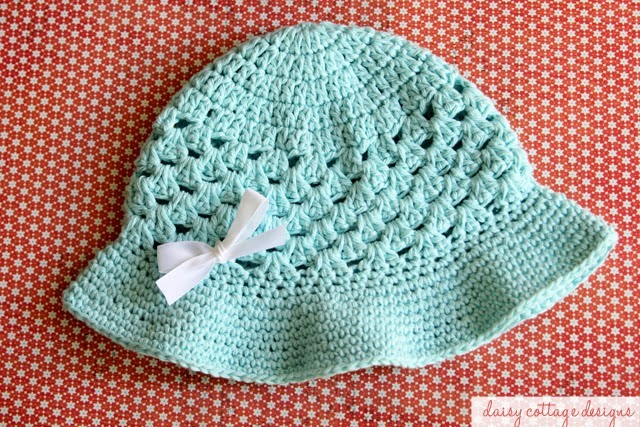 A loopy/ lacy hat with sizes from newborn till adult. Extra bonus: A loopy love blanket to match! 4) The Spring Lacy Hat by My Hobby is Crochet it's a lovely hat for the little girls, perfect for spring and fall weather. The pattern is written for toddler size with suggestions for other sizes. In addition to the written instructions, you'll find step by step pictures and crochet charts. 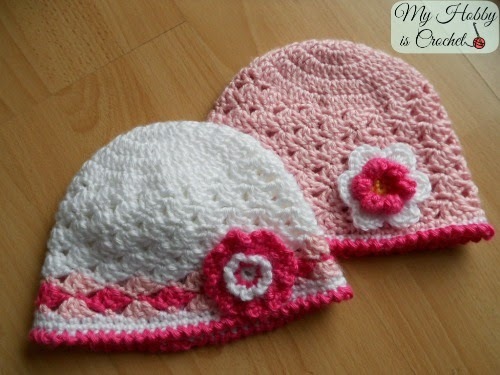 Lovely sun hat pattern that comes in 2 sizes: toddler and adult woman. 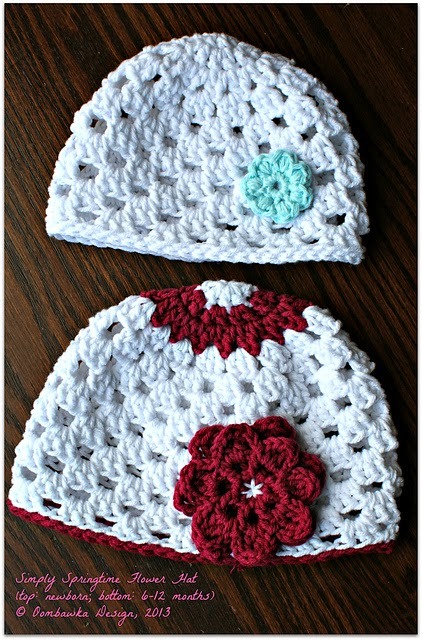 7) Simply Springtime Flower Hat by Ommbawka Design Crochet is a pretty and light springtime/summer hat with 2 different flower embellishments included in the pattern. 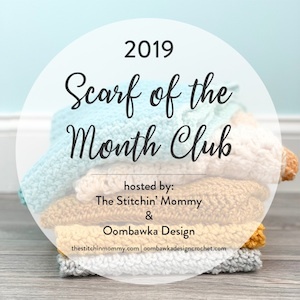 You'll find the links to the free Pdf pattern at the end of the blog post. 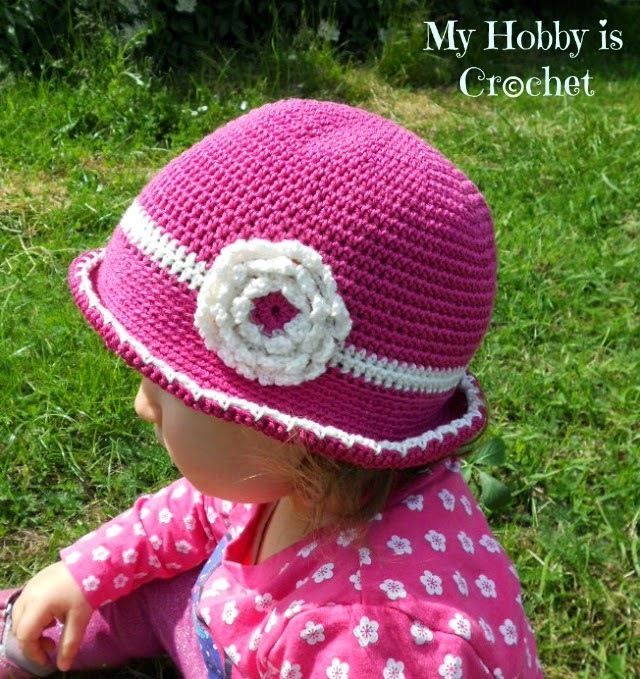 A cute sun hat for little girls with almost invisible seams. 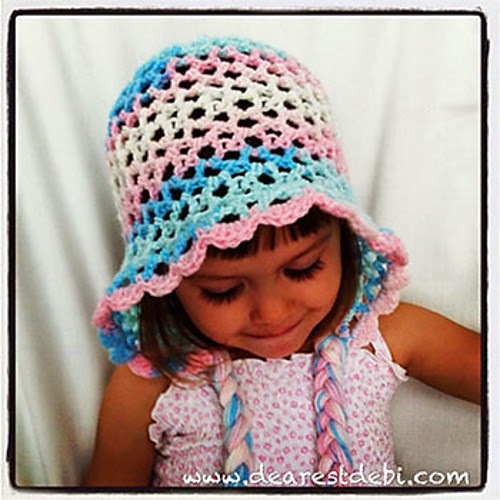 8) 3D Easy Bonnet- Toddler size by Debi Dearest is one of the beautiful hats from her 3D collection of flower beanies and bonnets. All of the them have a pretty double layers crochet flower on top. 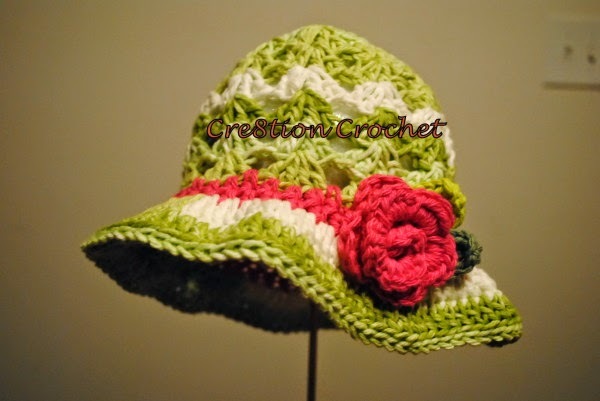 Pretty cotton sun hat for 4-8 year old children. 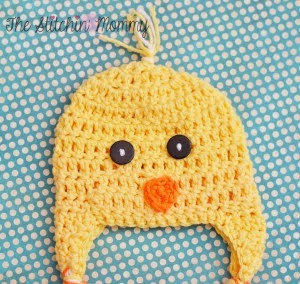 10) Spring Chick Hat by The Stitchin' Mommy - would be a sweet Easter hat for babies 6-12 mo.